You might be able to get high at a classical concert or buy weed from a vending machine these days, but weed simulation games are a no-no – in the iTunes store, at least. Apple has taken down an incredibly popular weed dealing game from their app store after it hit Number One on the download charts. 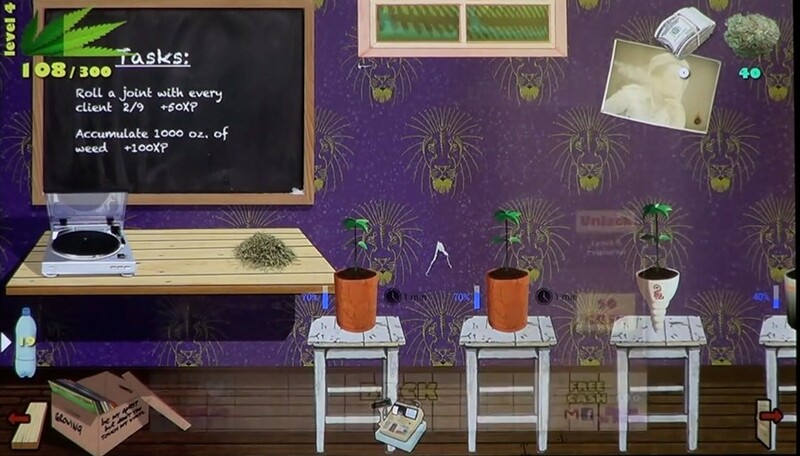 In Weed Firm, players control a cannabis farmer called Ted Growing as he cultivates his crop. You need to dodge crooked cops and gangsters and may occasionally smoke up with a stripper, but a good portion of the game is devoted to prosaic farm necessities like watering plants and choosing soil types. It's not exactly Grand Theft Auto, but gamers still downloaded Weed Firm enough times for it to race up the top of the charts. Its developers, Manitoba Games, say it still don't know why Apple removed the game. "This was entirely Apple's decision, not ours," the company said in a statement. "We guess the problem was that the game was just too good and got to number one in All Categories, since there are certainly a great number of weed-based apps still available, as well as games promoting other so-called 'illegal activities' such as shooting people, crashing cars and throwing birds at buildings." At the time of writing, Apple was unavailable for comment. Gutted that you can't live out your cannabis crop dream? Similar games like Weed Tycoon ("the ultimate marijuana sim game") are still available on the app store, although it remains to be seen if Apple will take them down, too.